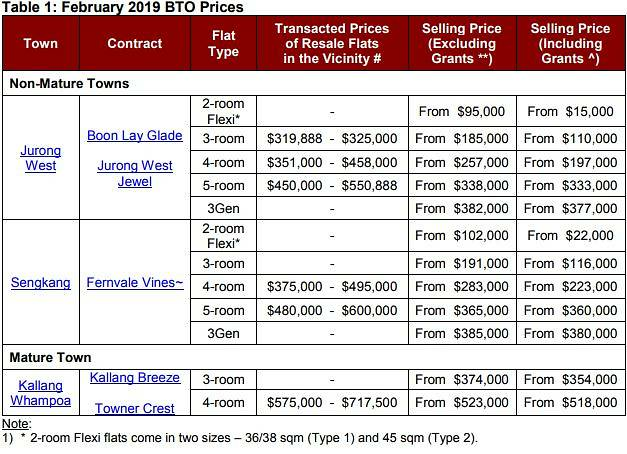 Min price for 4 room at Kallang bto. QE3 said: You see Kallang bto. How to hit min sum? Sure alot of social problems. BTW. When is Powell hiking? This is too much. 500k still call great sinkapore sale? Don't care lah ... just buy ... Gahmen Guaranteed what, NO ? So can MAS or HDB or GIC or Tamasik. US Fed can QE ... so can MoF or MAS. They played mahjong games with 3 QE tables chips. Everyone should just max-out their credit cards .... and then let the company layoff .... and sit there idle. Wait for the rescue ... pInk Auntie pRoject members would come to put the fire out for you. Don't worry. Consume Consume Consume to enlarge the nation's GDP. via buying those Overvalued Banks shares or High Tech company or rotten piece of toxic assets sold by Wonderful Marketing and Sales teams from overseas. It is just a number game ... please don't stress out ... just act like a Wood ... with no anger, fear, remorse, shame, sadness ... or etc .... make yourself turn into a piece of wood with no feeling. The officeholders would have to clean up the mess if majority of the people are hit by their policies and wisdom of governance. And Happy New Year ... Everyday can celebrate CNY 2019 any time No need to wait till Feb 5, 2019. Continue celebrate if you can do so. After all ... sitting their idle also no use. Malaysia now have many internal challenges .... car broken down, sabotage, random car accidents, Justice system .... seems like PROTON is attacking Produa MyVi .... Proton is trying to increase their car-SALES numbers. Power outage at Petaling Jaya yesterday. Power outage at Johor today. Then some streets lights are ON during daytime for 5 to 8 hours. Suddenly the surrounding residents electricity bill gone up by $45 IN 1 MONTH. Likely many Malaysia car mechanics are jobless or no business. These car mechanics might have partnered with some security guards to intentionally break some Malaysian cars ... to obtain more jobs for their own benefits. Similar cases have started to happen more frequently recently .... so ... when you pump your petrol in Msia ... better know which company pump is more reliable. Be more considerate and Drive safely and responsibly on the roads or streets ... Good luck. sogo said: 500k still call great sinkapore sale? Construction cost should be about the same for similar size flat in Sengkang or Kallang. The selling price seems to include land cost. Tangsen said: Central area 750k. maybank is maybank. dbs is local so must help sinkaporeans by giving cheaper loans. sogo said: maybank is maybank. dbs is local so must help sinkaporeans by giving cheaper loans. Current time: 21-4-2019, 4:18 PM Powered By MyBB, © 2002-2019 MyBB Group.